A new ‘America THINKS’ national public opinion survey shows that citizens across the USA believe congestion has increased over the past year and they would be willing to pay higher tolls and taxes for infrastructure improvements. Commissioned and published by the HNTB Corporation consultancy, the survey, ‘Funding Congestion Solutions-2018’ found that 61% of Americans believe traffic congestion is noticeably worse now than just a year ago, and more than 7 in 10 (73%) are willing to pay higher taxes and tolls to fund infrastructure maintenance or new construction to help reduce that congestion. If these higher taxes and tolls are guaranteed by law to be used only for infrastructure spending, support increases to 82%, according to the survey. Among those respondents willing to pay more in taxes and tolls for infrastructure, 46% prefer tolls paid only by users of tolled roads, bridges or tunnels, while 27% believe taxes that everyone pays should be the source of funding. When sufficient funds are not available from other sources to maintain current infrastructure and build new, the survey found that nearly eight in 10 Americans (79%) support higher taxes and tolls for that purpose. When investments from public-private partnerships were considered as means to fund infrastructure costs, more than half of those surveyed (55%) preferred repaying investors through tolls paid by the users of that specific highway or bridge, versus 45% who favored taxes paid by everyone. HNTB’s survey explored interest in priced managed lanes, or express lanes, as a potential congestion solution. 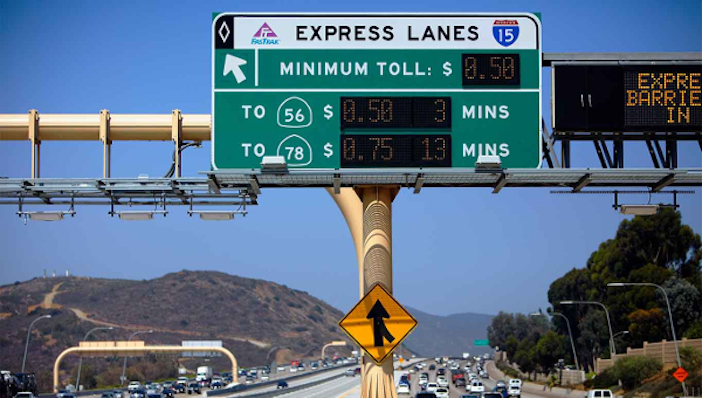 Express lanes, which are tolled lanes operating in the middle of non-tolled highways, provide drivers with the option to pay a fee to avoid congestion and have a predictable travel time. The survey found almost two in three Americans surveyed (64%), believe these lanes can help manage or reduce highway congestion. The study also found that even when a free non-tolled alternative is available, 79% of those surveyed would still pay a toll if that would enable them to avoid congestion and have a predictable travel time. Reflecting the growing frustration with increased congestion, this is a substantial increase from the results of a similar HNTB survey in 2016 that found 69% of respondents willing to pay tolls for this reason. “Americans place a high value on mobility and recognize the need to fund their share of the costs through higher taxes or tolls to help reduce congestion,” said Kevin Hoeflich, HNTB toll services chairman and senior vice president. Conducted by Russell Research, the survey polled a random nationwide sample of 1,011Americans, aged 18 and older. Quotas were set to ensure reliable representation of the entire US population, and the margin of error is +/- 3.1%.